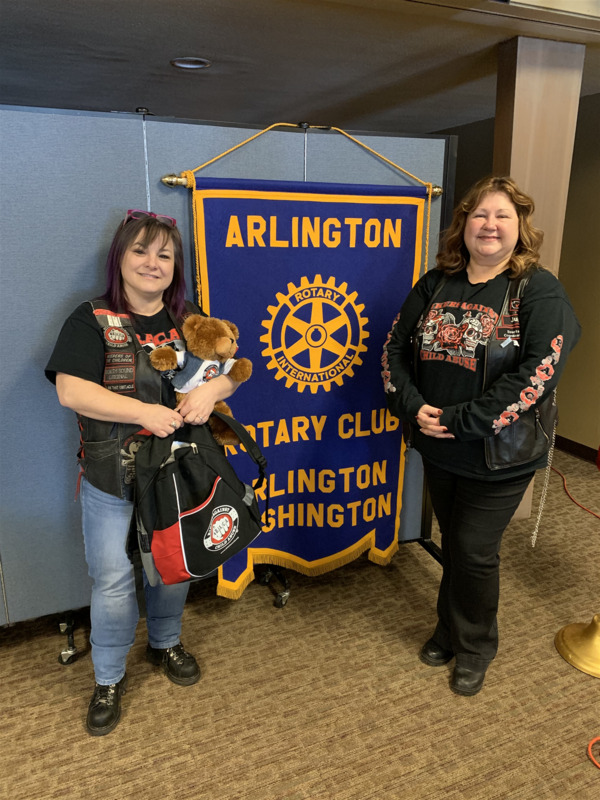 JuJu and Trouble with Bikers Against Child Abuse spoke to our club about their organization. They help children attempt to work through their fears after abuse and empower them. The members give the children someone to talk to and a teddy bear to help with their fears. They are in 49 states and 13 countries around the world and there are over 100 clubs. 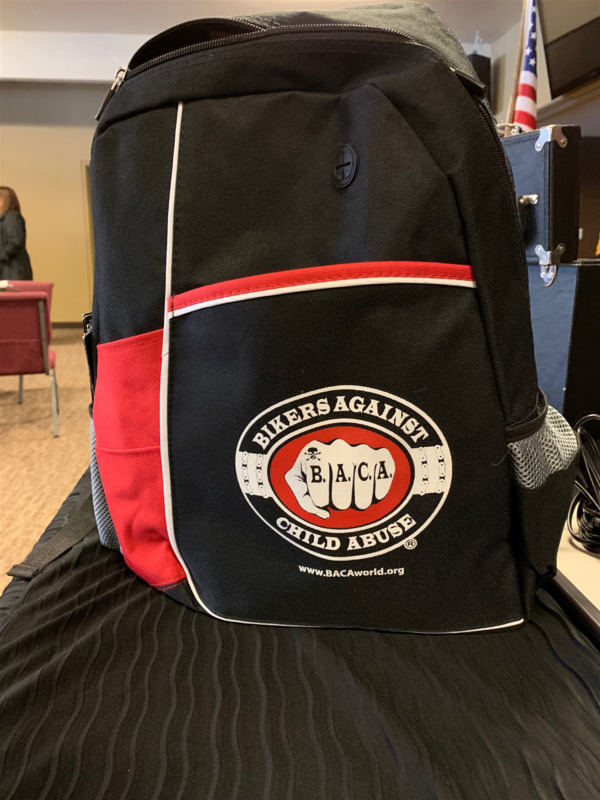 The children can be so scared when they first meet them that they are hiding in a box but as they work with the children they can transition into blowing bubbles in a parking lot with BACA. 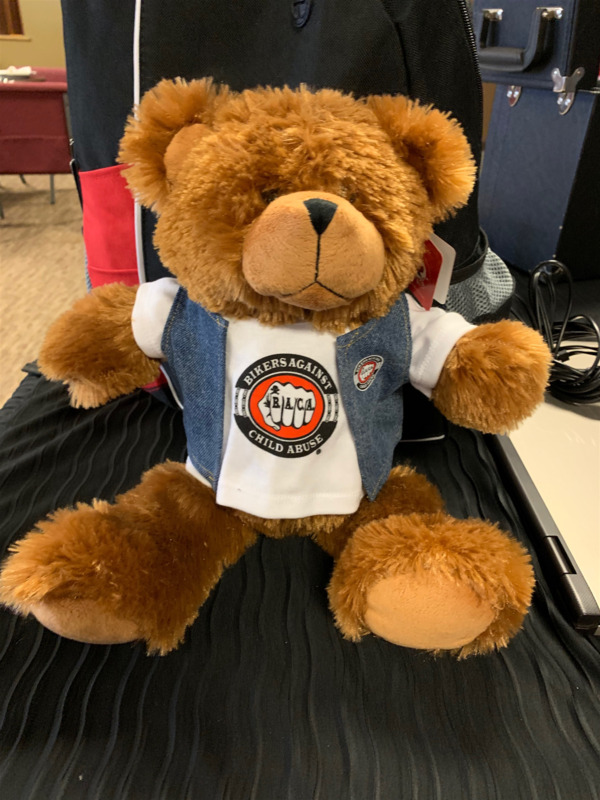 Each child in the family gets a “cut”/vest with a back patch, backpack, teddy bear, blanket, and get to pick a “road name”. Each member hugs the bear and then the bear is given to the child to help them remember there are a lot of people standing behind them to help. BACA holds their meetings the first Tuesday of each month at the Viking Hall in Silvana. Their mission statement has never changed. They do not condone physical violence but band together to be a strong physical presence. The children can take a ride on the back of one of the member’s bikes. The club will hang out around the children’s residence for 48 hours to make their presence known in an effort to help the children feel comfortable and even sleep. All members are background checked before even hearing about one of the children. The members will not know about the children for the first six months being in the club and another three months of vetting. 90% of the members were victims of abuse in their lives. The Club will help keep the children occupied if they are waiting to testify in court proceedings and surround them to keep the perpetrator’s family away from them. The club tries to fade away slowing so the children can heal.